Army Day is celebrated on 15 January every year in India. Army Day is celebrated on 15 January every year in India, in recognition of Field Marshal Kodandera M. Cariappa’s (then a Lieutenant General) taking over as the first Commander in Chief of the Indian Army from General Sir Francis Butcher, the last British Commander-in-Chief of India, on 15 January 1949. The Union Government launched the ‘Womaniya on Government e Marketplace (GeM)’, an initiative to enable women entrepreneurs and Women Self-Help Groups (WSHGs) to sell handicrafts, handloom, accessories, and other products directly to Government departments and institutions. 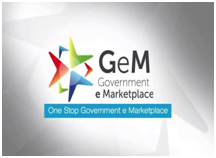 GeM was setup in 2016 and has 731,431 product categories, with 180,862 registered sellers and 32,114 government buyers. Union Science & Technology Minister, Dr. Harsh Vardhan inaugurated the initiative. DD Science is an one hour slot on Doordarshan National channel, which will be telecast Monday to Saturday from 5 pm to 6pm. India Science is an internet based channel, which is available on any internet-enabled device, and will offer live, scheduled play and video-on-demand services. The Madras High Court has set up an expert committee to find a solution to root out invasive species of plants from the Western Ghats. It has also directed the panel to file a report on the ways to weed out such species within two months. Kerala Chief Minister Pinarayi Vijayan inaugurated a 1.8 lakh square feet facility housing incubation set ups across a string of segments in modern technology. The Integrated Startup Complex under the Kerala Startup Mission (KSUM) includes the ultra modern facilities of Maker Village that promote hardware startups, the BioNest that promotes medical technologies, BRINC which is the country’s first international accelerator for hardware startups. The Kerala state government intends to expand its incubation space further and after the completion of three more projects, Kerala will have a total startup and incubation space of 5 lakh Sq ft. This will be one of the largest incubation facilities in the world. Private sector ICICI Bank inducted former SBI Managing Director B Sriram on its board as independent director and management consultant Rama Bijapurkar was also appointed as director. Sriram retired as the managing director of IDBI Bank in September 2018. Prior to IDBI Bank, he was the managing director of SBI. Stephen Constantine resigned from his position of Indian football team’s head coach after the Blue Tigers suffered an exit from the group stage of the AFC Asian Cup 2019. This was his second stint as the coach of the Indian football team, the first time being back in 2002 when he managed the team for three years. He returned to the seat after taking over for a second time in 2015, succeeding Dutch Wim Koevermans. The International Cricket Council appointed media professional Manu Sawhney as its new chief executive officer, replacing incumbent David Richardson, who will step down after the World Cup. Mohammed Ali Qamar, India’s first Commonwealth Games gold medal winner in boxing, has taken over as chief coach for the country’s women pugilists. He replacing veteran Shiv Singh. Qamar has become the youngest person to get the top job. The Prime Minister, Shri Narendra Modi, received the first ever Philip Kotler Presidential award, in New Delhi. The Award focuses on the triple bottom line of People, Profit and Planet. It will be offered annually to the leader of a Nation. The Citation mentions initiatives such as Make in India, Startup India, Digital India, and Swachh Bharat. A detained Chinese rights lawyer Yu Wensheng has won a European human rights award for his “exceptional contribution” to the protection and promotion of human rights. Yu Wensheng, who is in pre trial detention on subversion charges, has been held incommunicado by authorities in Jiangsu’s Xuzhou city for more than a year. His wife Xu Yan received the Franco German Prize for Human Rights behalf of her husband from the French and German ambassadors to China. Deputy Chief Minister of Gujarat Nitin Patel will be the convener of the GoM. It will analyse tax rate of GST and suggest a composition scheme for residential construction units. Ministry of Water Resources, River Development and Ganga Rejuvenation, is organised the 9th International Micro Irrigation Conference at Aurangabad in Maharashtra. The conference is held in association with International Commission on Irrigation and Drainage (ICID), Indian National Committee on Surface Water (INCSW) and WAPCOS Limited, a CPSE under the Union Ministry of Water Resources, River Development & Ganga Rejuvenation. The theme of the conference is “Micro Irrigation and Modern Agriculture”. The Union Minister of Civil Aviation, Suresh Prabhu on January 15, 2019 inaugurated the Global Aviation Summit 2019 in Mumbai, Maharashtra. The theme of the Global Aviation Summit 2019 is ‘Flying for all especially the next 6 Billion’. The two-day summit is being organised by the Union Ministry of Civil Aviation, Airport Authority of India (AAI) in association with the Federation of Indian Chambers of Commerce and Industry (FICCI). Gurgaon’s 8-year-old Kartik Singh has won the under 8 category at the Kids’ Golf World Championship organised by US kids Golf in Malaysia, which makes him the youngest Indian to win the title. He finished 8th at the US kids junior world championship 2017, Pinehurst, the USA in 7 year category. Asian Cup Gold medallist Shakil Amed set up a world record in indoor rowing by completing 1,00,000 (one lakh) metres in above 40 years category. Shakil began his record setting indoor rowing feat in Salt Lake stadium complex and achieved the milestone of covering 1,00,000 metres of simulated distance in 10 hours. The Minister also launched an app ‘EMRS Sports Meet’ dedicated on the occasion. The event has a participation of 1777 students comprising of 975 boys and 802 girls representing 20 States of the country. Government has decided to establish EMRS in every block with more than 50% or more tribal population and 20,000 or more tribal persons by the year 2022 thereby around 462 schools will be set up in addition to the 288 EMRSs already sanctioned. Sir Michael Atiyah, a British mathematician who received the 1966 Fields Medal, also known as the ‘Nobel for Mathematics,’ passed away. Atiyah, who was based at Oxford and Cambridge, among several universities, during his career, is best known for his contribution to a branch of mathematics called topological K-theory and the Atiyah Singer index theorem. Lenin had begun his career as an assistant to director PA Backer. He directed his first film Venal in 1981.